Hi, if you're a regular reader of this blog you'll know I'm a fan of the End of the Road festival. To be fair I probably go on about it a bit too much but I get a little excited about music and it is a wonderful festival so I think I'm justified. For me, festivals are not only about seeing the bands you already love, they're also about discovering new bands, the small print bands with unfamiliar names* that play afternoon sets on the smaller stages etc. I'm going to investigate as many of these bands on this year's line-up as is possible to try to get a feel for some of the sounds I think I might enjoy. Today I'm starting with This Frontier Needs Heroes. The songs 'Firefly' and 'Space Baby' (which has a super cosmic video that appeals to my geeky tendencies) stand out as my favourites. Space Baby- This Frontier Needs Heroes from olivia wyatt on Vimeo. 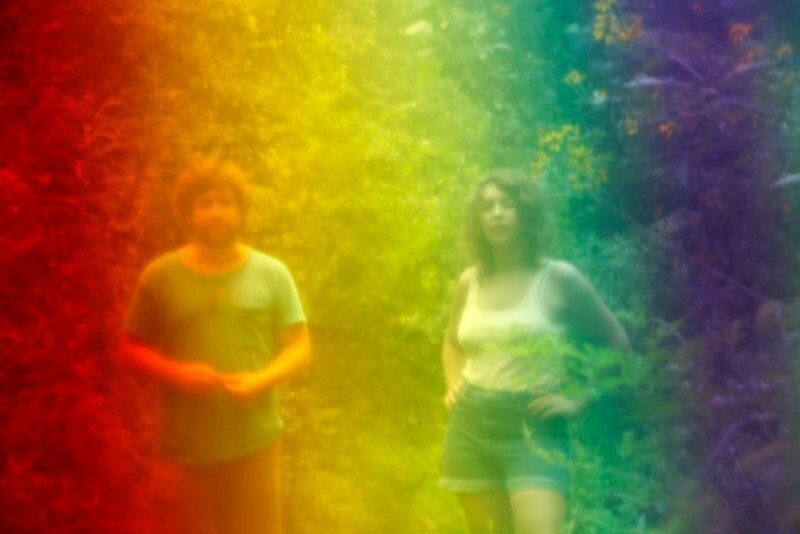 This Frontier Needs Heroes are brother and sister duo Brad and Jessica Lauretti from Brooklyn, NY.Their music has a very intimate quality conveying stories of heartbreak and love. They have released two albums, the first was back in 2009 called 'This Frontier Needs Heroes' with a follow up called 'The Future' released in May of this year. Incidentally they used Kickstarter donations to fund their second album which was recorded in an old school house in Wassaic, NY. Some of you will already be familiar with this band having seen them support Kath Bloom, She Keeps Bees, Arbouretum, Tallest Man on Earth, and The Handsome Family and they have already played several UK festivals. I've never seen them play live but they already have extra points from me for having released their last album with album art in 3D complete with 3D glasses. Maybe I'm too easily pleased. If the line up isn't crazily clashy I'll be checking these guys out or at least try to catch some of their set. *unless you're a big fan of course.